Thanks so much for having me to visit, Karen! I’m thrilled to be here, and can’t thank you enough for the opportunity. 🙂 As for my writing, I’m currently writing in both the contemporary romance and urban fantasy genres. Contemporary romance because I’ve always been a sucker for a happy ending, and urban fantasy because it allows me to bring out my darker side to play (you know, rather than actually knocking off someone!). I get two choices here, right? Because coffee is the obvious answer for mornings (I couldn’t survive without it! ), but nothing beats a glass of wine with/after dinner. Currently, Hozier’s Take Me to Church. My previous favorite was AWOL Nation’s Sail. When I get about half to two-thirds of the way through the first draft. That’s when my inner critic gets the better of me, and I become convinced that the story is hopeless and I should never have been a writer in the first place. Thankfully, I’ve learned that I can push through the panic, lol, or I’d never finish a book! Oh, goodness…probably on Prince Edward Island (home to Anne of Green Gables). We’ve visited there and it is absolutely gorgeous. Sand dunes, ocean, red sand beaches, rolling farmland, and the nicest people you could ever meet. But I’d want my kids to move nearby! I’ve always been an avid reader, but I need to make more time for it in my life again. I don’t know if I have a single favorite genre…I tend to read widely across the genres (romance, thrillers, urban fantasy, YA dystopians…), and I’m more interested in a story that grabs me than a particular category. I have two coming out this year. 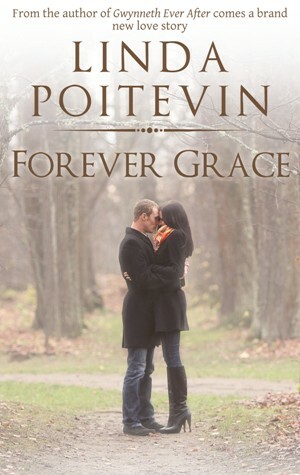 Forever Grace, the third book in my Ever After romance series, just released on April 24th, so I’m caught up in the whirl of launch events right now (thank you again for having me to visit today for that reason!). Then, in September, I’ll be launching the fourth and final book in the Grigori Legacy, Sins of the Warrior. I’m super excited about both books, and so happy to be completing two series for my readers! BE SURE TO COME BACK to read more about Linda, her release, and an excerpt from FOREVER GRACE on Wednesday’s Karen’s Killer Book Bench. Happy Reading! Your a new (to me) author. Your Ever After series sounds really interesting. I’ve added them to my to be read list. Very interesting interview, I enjoyed learning more about Linda and her romance books sound great. Good morning, Linda, and welcome to Karen’s Killer Book Bench! I, too, wish you had transporter abilities. We’ve been talking forever and it would be great to meet in person. For those readers who like darker reads, I highly recommend Linda’s Grigori Legacy books. Linda, I cannot wait for the final book!!! I haven’t read any of your books (yet), but they sound like just the kind I like to read. I love when the story and characters seem real and you get so caught up with it all, it’s all you can think about! Love when a book reaches me emotionally, whether it’s laugh out loud, cry, empathize, be wtf shocked or want to slap one of the characters LOL. I’ll definitely be checking them out. Thank You for this “Author Peek” interview, pretty cool! Teleportation. Then you could visit me here on the West Coast and autograph all your books for me. Yes, old fashioned books. Love the Grigori series, not usually a Romance reader but your stories do have a real feel to them so I have greatly enjoyed them as well. I look forward to both books. I just read the excerpt from “Gwynneth Ever After” and I loved it and I cannot wait to see what happens next. You are an amazing writing. Same as you, I am a big sucker for happy endings and books/stories that have children involve so I know that I made the right choice to read your Ever After book series. I cannot wait to get my hands on your books.